Some magnificent results this weekend and a mixed bag of events to boot. Saturday was all fell and long distance trail, Sunday was road and half marathon. Saturday morning saw the popular Penmaenmawr fell race where both Jayne and Jimmy put on the green vest to display their hill legs against the best North Wales has to offer. 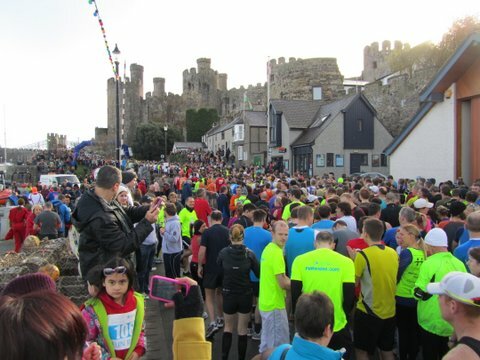 A short review on the Eyryi website states “A cracking 192 runners finished the oldest fell race in Wales on a stunning day which was soaking underfoot”. 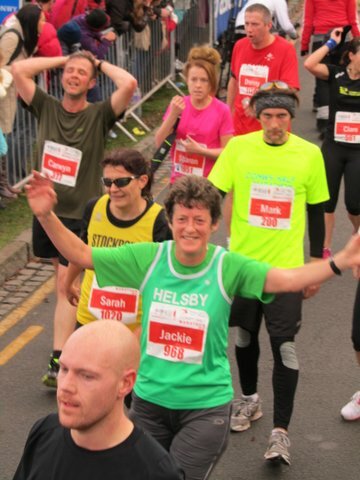 Let’s be honest, it was once again another stunning performance by Jayne, 1st lady home and well clear of the next lady as well as being 1st in for Helsby. I’m sure Jim was as impressed as everyone else was on the day. 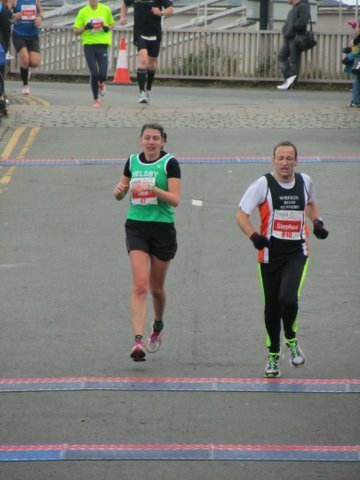 Keep up the good work Jayne and well done Jimmy. Mario and Joe were out in support, along with club mascot Sharon ‘Basher’ Basford from Tattenhall who was nominated driver for the day, many thanks also to them. Helsby position and places as below with some links to photos from Alistair and Pete Douglas. Saturday was also the Brecons Ultra, which is a 2 lap and 45 mile contour round the Brecons taking in the legendary Gap (old Roman road). where neither Chris or Adair ran as well as last year with Chris not in top form still performing brilliantly well for a 14th overall. I take my hat off to him. It was a stunning day in the Brecons though, where mist and drizzle last year became blue sky and an autumnal glow this year, the one bonus for running a little slower than normal. But 45 miles wasn’t even the longest run of the day, not with Andy Robinson around, who managed 50 miles in the Lakes. Some details from Andy for another magnificent achievement. 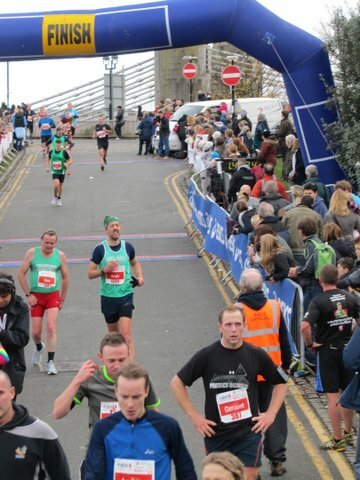 Sunday saw the final road counter of our current year which was the Conway Half Marathon. Both Geoff Shaw and Andy Smith have provided a race report which are included below. 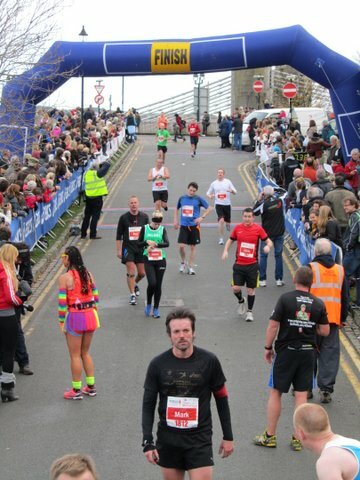 shorter distance of 13.1miles in the Conwy Half Marathon. and the long slow drag up and round the Great Orme. back into Conwy to finish on quayside. Great run everyone and a fantastic win for Geoff in his new age category and a storming run for Colin too taking the Helsby chequered flag. Remember it’s cross country this Saturday for those who want to go and support. Four people have put their names in the pot, Jayne Joy for the ladies in the European XC trials at 1.20pm and Phil Gillard, Andy Smith and Steve Riley for the men at 2.00pm, both races Sefton Park, Liverpool. Sunday is the Northwest League race at Birchwood as per details sent in an earlier club email, organized by Spectrum Striders so details are on the website link below. Good luck to all who run.